The WordPress Family Award, Most Influential Blogger Award, and The Versatile Blogger Award all have different requirements that go along with accepting the award and passing the nomination to fellow bloggers. All acceptances must be linked back to the person (blog) who nominated you for the award. All request the award logo be posted in your blog when you accept the award. Because I am a “versatile” blogger, and an INTJ, I am modifying the other rules for nominees of these awards from through September 14, 2013. 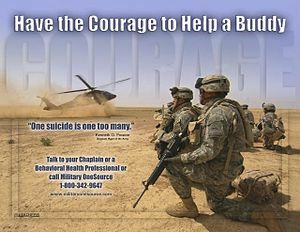 (That is the “official” end of Suicide Prevention Week – unless one references the Department of Defense, and the entire month of September is dedicated to Suicide Prevention Month. If you are military, veteran, federal, former federal, DOD, or want to extend the deadline to September 30, 2013, because more people might get the message – feel free to make it a month long campaign.) 1-800-273-TALK (8255) for 24/7 help if you or someone you know is suicidal. 1. Is suicide really a problem among teens and young adults? 2. How do you know if someone is suicidal? There are many warning signs of suicide. Sleeping too little or too much.Withdrawing or isolating themselves. Please include these warning signs along with the number for the Lifeline, 1-800-273-TALK (8255) when reporting on suicidal behavior. 3. Will I make someone kill themselves by asking if they are suicidal? No, you will not. You will be offering them the opportunity to discuss how they feel. Do not hesitate to contact a qualified support center for assistance. There are many factors to be assessed and professionals are trained for this. Please: Do not put yourself in harm’s way and do not hesitate to call 911 if danger is immediate. Do not “promise” to keep this a secret. National Suicide Prevention Lifeline at 1-800-273-TALK (1-800-273-8255) is a 24/7 hotline and referral source. 4. You mention “risk factors”. Are those different than symptoms of suicidal behavior? 5. Are people who are not 10-24 years of age NOT at risk for suicide? 6. I want to nominate someone for an award. I admire their blog very much but they don’t accept awards. What should I do? Wow, thank you for thinking of me. I really like that you drawing attention to mental health issues. The lack of mental health support in America is a sad state of affairs. I started in that field right after college – 1000 years ago. And nothing has changed. At all. Maybe a few drugs. Thank you for the nomination. In my line of work, I deal with suicides all the time, albeit the unsuccessful ones, as they end up in the ICU. Listening to their stories, it is a lonely world out there indeed. Anne, thanks very much. I’m honored. Life’s a bit hectic right now as we just moved and our move-in day was today, so the garage and basement are full of things that need to be unpacked, put away, given away, sorted, etc. All that to say, I probably won’t be doing much except just blogging right now. i will, however, try to get this accepted and re-posted at some point in the not-too-distant future.